I need a microwave now! 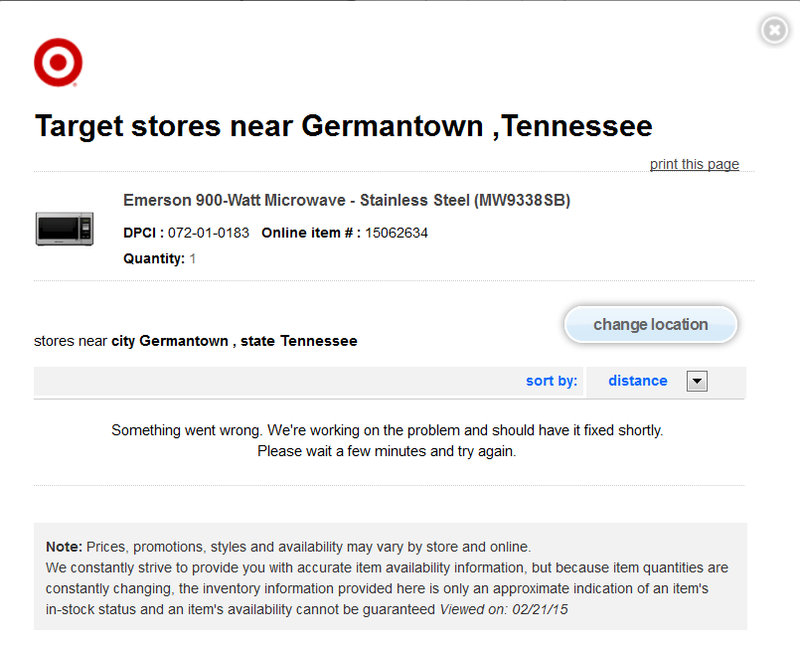 So why doesn’t Best Buy let me filter products by what’s in their stores today? 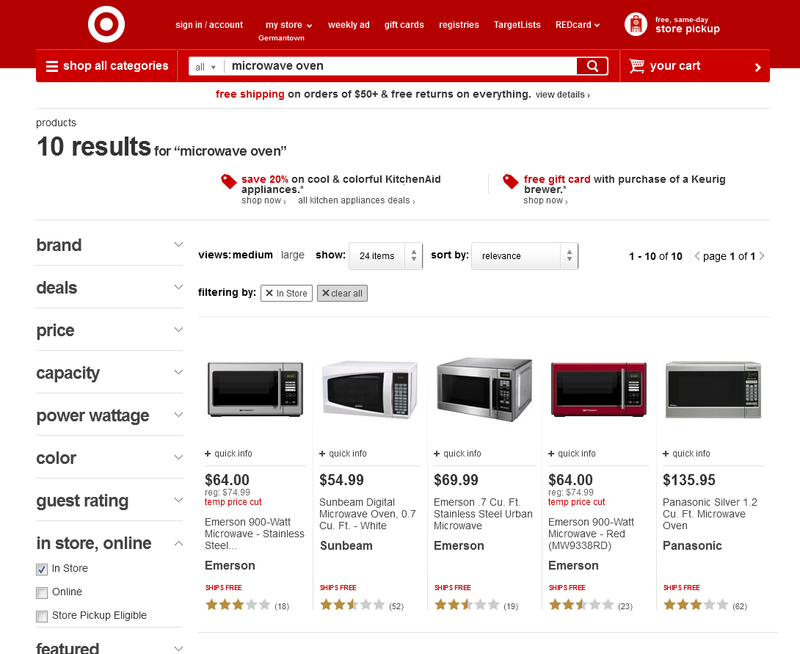 Our Microwave died -so we turned to BestBuy.com & Target.com for help but instead of coming to the rescue, they just pissed us off with bad Websites that prevented us from buying from them. Instead of Target and Best Buy leveraging their greatest assets – locations with easily accessible inventory, their Websites made it virtually impossible to find what’s actually available in your nearby locations. Considering how frequently we use the microwave for reheating leftovers, ad defrosting dinner items, we needed a replacement ASAP – and we needed something that looked good and could fit into the cubby hole we’d built in the cabinet. Given the urgency and the need for exact measurements this was a perfect opportunity to use the Web for some initial research and then purchase in store until we discovered yet another reason why the big box retailers are struggling. Best Buy = Worst Experience: You can filter by brand and whether items are on sale, but you can’t filter by what’s actually in store. 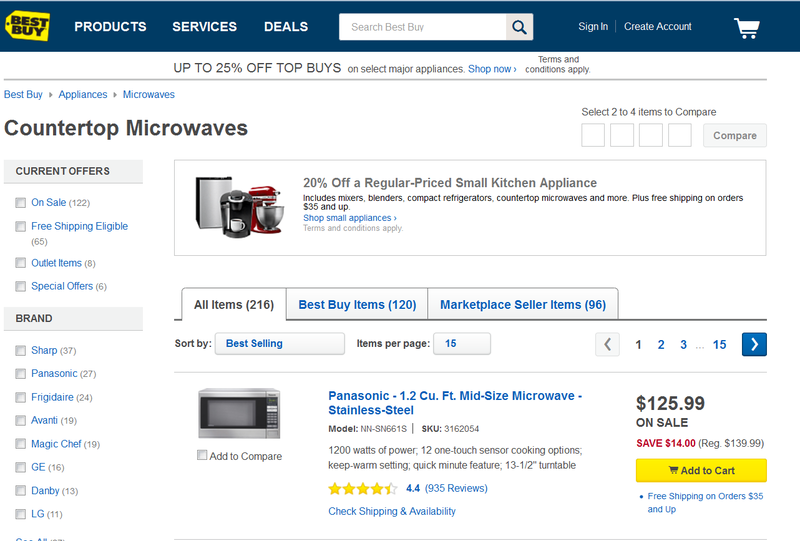 So in order to find which of the dozen or so microwaves out of the 126 listed is actually available locally, I need to click through to each individual microwave and search to see whether it’s available. Considering the billions Best Buy and Target have invested in real estate and inventory, they could at least invest a few million to make it easy for shoppers to find what they need at their nearby location instead. This entry was posted in Uncategorized and tagged customer journey mapping, CX, design, local, product management, Target, UX. Bookmark the permalink.